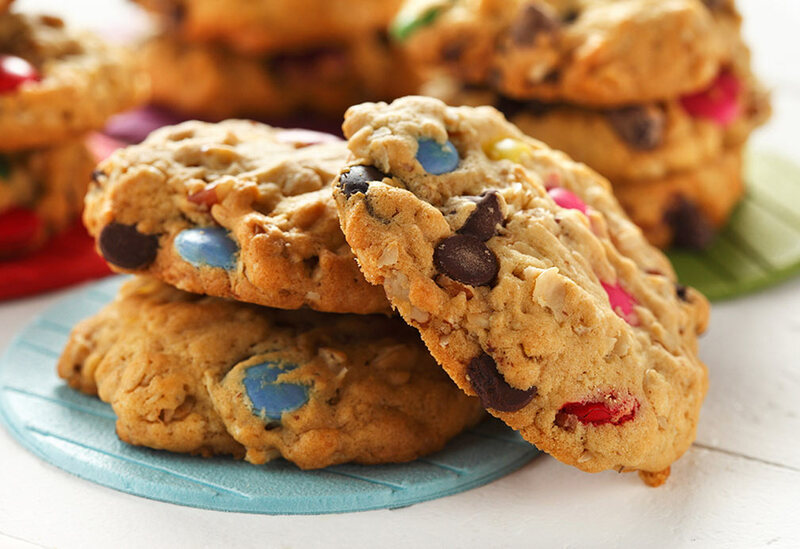 A chewy cookie that is easy to make and delectable. 1. Preheat oven 375 °F (190 °C). 2. In medium mixing bowl, combine granulated sugar, brown sugar and the oil. Using an electric mixer on medium high speed, beat until well blended, about 30 seconds. (The mixture will have a grainy texture at this stage.) Add egg and vanilla; beat until well blended. Add oats, flour, baking soda, cinnamon and salt and beat until blended. Add raisin mixture and coconut and beat until blended. 3. Line two cookie sheets with parchment paper. Using a teaspoon measure, spoon teaspoons of dough onto cookie sheet 2 inches apart. Bake 5 minutes or until puffy and slightly golden on edges. Do NOT bake longer, they will not look done when removed from oven. Place cookie sheet on wire rack and let stand 3 minutes. 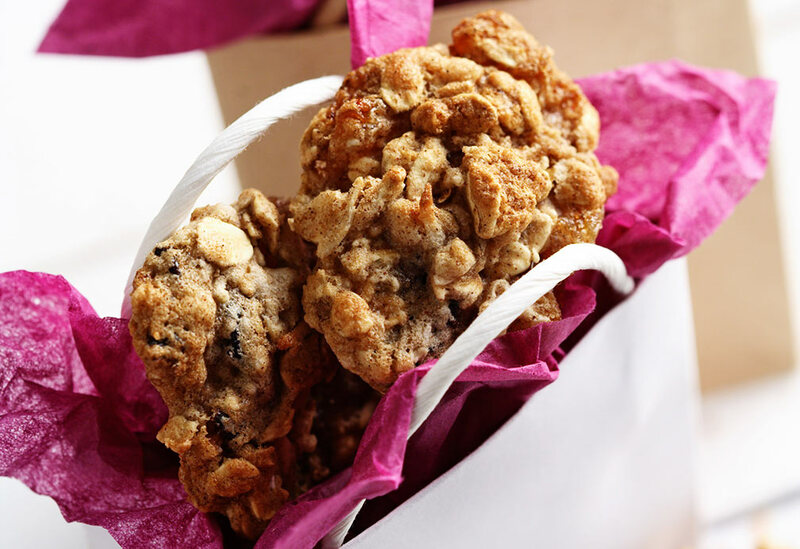 Carefully remove paper and cookies from cookie sheet and set aside to cool completely (ON parchment paper.) Repeat with remaining cookie dough. Store completely cooled leftovers in an airtight container at room temperature. 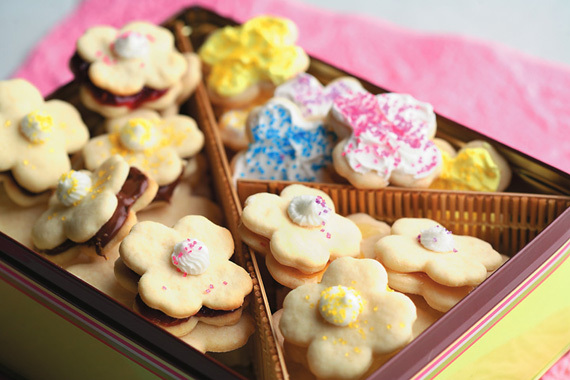 What kid could resist these cookies! 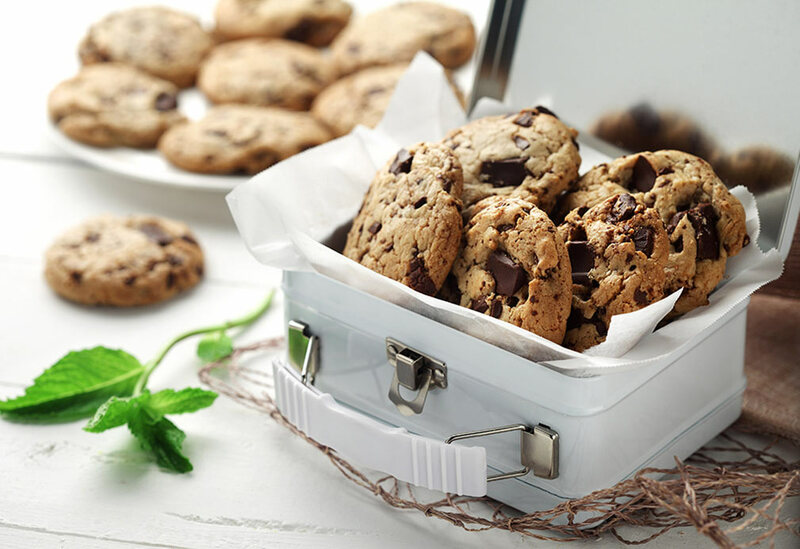 These rich, chunky chocolate cookies have just a hint of mint to refresh and delight your taste buds.